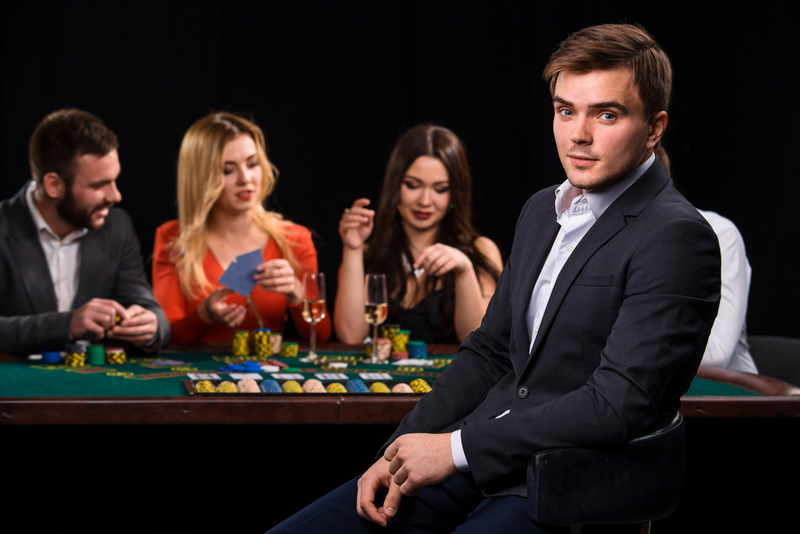 Knowing how to play poker is one thing, but it’s also crucial if you want to be a highly effective player to get a good grasp of poker etiquette. Even if you play poker online, etiquette is still key; it’s easy to forget that the online word is also part of the real world, and just because you’re behind a screen it doesn’t mean the rules change. Here we’ll lay out the basics of online poker etiquette and also give you some handy tips and tricks. If you see another player is playing a bad strategy, being unobservant and making silly mistakes that cost them money, don’t keep berating them in the chat about how stupid you think they are. Apart from the fact that it’s rude (and you may not be the world’s top poker expert, so maybe you don’t know everything), it’s also against your own interests; Poker is an adversarial game, which you means you want your opponents to make silly mistakes; berating them could cause them to improve their strategy and cost you money! If you’ve folded, then it’s best to stay quiet. You have nothing to gain or lose from this hand, but players who do have a stake in the current play will not appreciate your interventions; they will be strategising to account for your absence, and will not be happy if you mess up their strategy by helping out a player they were hoping to beat. Of course, feel free to try and influence other player’s decisions when you do actually have a stake in the current hand. Poker strategy can make good use of hard talk, but that doesn’t mean you have free reign to be nasty and abusive to other players. No matter how weakly they may be playing, other players don’t deserve to be sworn at and insulted. Not only that, but abusively berating the other players may hurt your own chances of winning; human beings are irrational creatures, and are prone to being vindictive; a player you’ve been insulting might try to take you down at their own expense just to spite you. If you’ve folded your hand, keep the cards face down until the current round of play is over, and don’t give any indication to the other players about the identity of your folded hand. They need to try and work it out for themselves. If the other players know what is in your folded hand, they will start calculating based on which cards are left, and this will influence the outcome of the round. It is especially unfair if you only reveal the information about your folded hand to some players but not others. Again, not butting in when you don’t have a stake in the current round is a good principle to follow. There’s nothing more annoying than a player who doesn’t know what’s going on in play because they haven’t been paying attention. Also make sure that you don’t take too long to make an action. Important decisions can take a bit of pondering, but taking forever to make your decision will seriously annoy everyone else. Slowing down the rate of play is bad news for everyone, and may even push out certain players, or encourage them to deliver abuse to you in the chat. Slow rolling is when you pause for a long time before revealing a very strong winning hand, just to highten the tension and the eventual horror your opponents will experience when they realise you have beaten them. It displays a complete lack of humility and sportsmanship and is generally regarded as the most impolite thing you can do as a poker player. Don’t even do it to an abusive and obnoxious person; you don’t want to sink down to their level. Plus, you’ll look really stupid if you attempt to dramatically slow roll your hand and then discover you’ve actually lost. We play online poker for many reasons from earning money to keeping our wits about us, but the most important reason we play is to have fun. Knowing your poker etiquette and sticking to it will help make online poker a fun experience for everyone.